As marijuana laws continue to change in the United States with increasing numbers of states beginning legal programs, the issue of legal consumption areas continues to be a problem. 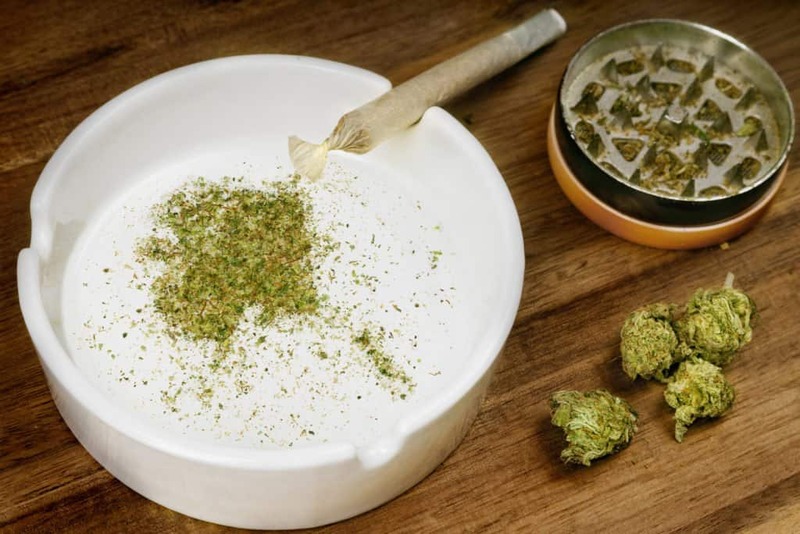 The ability to buy and consume responsibly and legally in recreational-marijuana states draws in an enthusiastic crowd of tourists who then face the dilemma of where they can smoke their product without the risk of consequences. Alaska is the first state to draft legislation to solve this problem. Let’s examine the current situation with purchasing cannabis and consuming it. After buying marijuana at an adult-use store, tourists and those far from home have limited choices for where to smoke it in most areas. Tourists can go back to their hotels to try to consume freely, but that might result in problems, because most major hotel chains have policies against smoking marijuana. Even in states like Colorado, which is known for its extensive areas of wilderness and remote campgrounds, most of this land is in national forests, which is technically federal property where all marijuana use is a no-no and a finable offense. Consuming outdoors in public is forbidden in legal marijuana states, so that’s not an option either. Current polices create problems. Ironically, consuming on the streets of downtown Denver may pose less risk of a citation than heading to a mountain campground, and neither area is legal. When buying product in recreational cannabis states, the whole idea is to be able to smoke freely and not hide in the shadows and consume covertly like during the days of prohibition. Alaska is the first state to address this situation on a state-wide level. Let’s take a look at public consumption policies in two other legal medical and recreational cannabis states before examining Alaska’s new policies in more detail. California and Colorado also have struggled with establishing public consumption policies. The states of California and Colorado are two of the most progressive when it comes to marijuana use. California was the first state to allow medical marijuana dispensaries, but the early system was unregulated. Colorado was the first state to actually issue business licenses to marijuana companies and put some order and regulation into marijuana business practices. Since then, California has entered a new age of regulated cannabis and a very lucrative industry. Both California and Colorado both have made attempts to address the issue of legal public consumption areas, although California seems to be making bigger strides than Colorado. Both Colorado and California have a cannabis regulation structure that allows individual cities to opt out of legalizing adult-use marijuana, although medical marijuana is more widely accepted and widespread. This patchwork of regulations creates a lot of inconsistency in these states. Knowing what’s legal and illegal from community to community is difficult. For instance, in California, West Hollywood and San Francisco allow “cannabis lounges” on a limited basis. San Francisco public consumption is already up and running, but West Hollywood is scheduled to open its lounges during the summer of 2019. It will allow cannabis smoking, vaping, and edibles consumption in eight locations, providing choices to marijuana consumers. Consumption limited to edibles will occur at eight other locations. What sets California’s lounges apart from public consumption locations in Colorado is the ability to not only consume cannabis but purchase it as well. This huge difference puts California public consumption lounges on the cutting edge of cannabis reform in the United States. With a similar model to Amsterdam’s famed coffee shops, customers can order flower from a choice of strains on a menu and then consume it onsite. The business Flore West Hollywood will be a combined restaurant and lounge that offers cannabis-infused cuisine as well as regular fare. There also will be tableside cannabis service where diners can order a strain of their choice and have a waiter prepare it for them as either a rolled joint or in a filled pipe, vaporizer, or bong. This is the type of cannabis lounge that cannabis consumers nationwide have been waiting for and need. San Francisco has a slightly different take on legal public consumption. California is the first state that allows dispensaries with attached tasting rooms where customers can relax and enjoy the product they just purchased—and San Francisco was the first city to make it a reality. San Franciscans, as well as visitors to the city, can now legally enjoy cannabis in a manner similar to Amsterdam’s coffee shops, and in Amsterdam, cannabis is technically illegal but law enforcement turns a blind eye to its use. Various Colorado cities have experimented with public consumption in the form of “cannabis clubs” where people bring their own and can share it but not sell it. There has also been moves to allow public consumption. In 2018, Colorado lawmakers decided to allow cannabis consumption in dispensary “tasting rooms,” but Governor John Hickenlooper vetoed it, stating that the change was premature because federal law still prohibits cannabis use. Some saw that move as an indication of his upcoming bid to run for president. With Jared Polis, a more pro-cannabis governor, now in office in Colorado, citizens are optimistic about a more progressive approach to cannabis legislation. Alaska’s new marijuana consumption laws will mimic those in San Francisco—and those vetoed in Colorado. Alaska, with its much smaller population and sparsely populated areas compared to California and Colorado, is in a unique position to more easily establish statewide policy. On March 12, 2019, Alaska’s Lt. Governor Kevin Meyer signed new regulations into law that will allow citizens and tourists to enjoy their cannabis purchases in licensed dispensaries later this year. This is not a hasty decision, because Alaska politicians have debated responsible public consumption areas since 2015, the year following passage of Alaska’s cannabis legalization laws. First approved in a 3-2 vote by Alaska’s Marijuana Control Board, the new regulations were then signed by the Lt. Governor. The new law states that adult-use marijuana shops with endorsements for onsite use can sell cannabis products to customers who can then consume those products—specifically marijuana flower and edibles—at the location. The consumption of cannabis concentrates will be forbidden, as it is at any time in the state of Alaska. The marijuana consumed at shops must have been purchased at that specific shop and during that specific visit, and the consumption area must be separate from the retail area of the store. The consumption area must be a separate room that can only be accessed from inside the business. The consumption room must have its own door. Stores with consumption areas must also have smoke-free areas where employees can monitor activities inside the room. The Marijuana Control Board must also approve an adequate ventilation system for consumption room that will eliminate smoke from the room while simultaneously mitigating odors outside the building. An outdoor consumption area on patios and rooftops is also under consideration and would largely depend on neighboring businesses. For those customers who do not wish to inhale secondhand smoke but want to consume edibles, an outdoor area would allow equal ability to consume cannabis as well as edibles. Individual business owners must detail their strategies for preventing diversion of cannabis as well as preventing access to private consumption areas outdoors to minors before they get approval for public consumption rooms and areas. Allowing consumption inside of retail cannabis stores was not without a great deal of debate and disagreement. Public health advocates and the state health commissioner opposed the new law. Not surprisingly, cannabis business owners supported the change, rightfully noting that it made consumption easier for tourists. The new law will not go into effect until later this year, as additional policies about public access and control measures are established. Alaska will be the first legal cannabis state to adopt a legal statewide policy for the consumption of cannabis at the business locations in which it was purchased. This will eliminate the catch-22 situation that presently exists with people being able to purchase cannabis legally but with no legal place to consume it. Alaska’s new public consumption policies—as well as those of individual businesses in California—will hopefully provide a workable model for public consumption in other legal marijuana states. Sensible and safe legislation like that awaiting execution un Alaska is greatly needed in the present age of legal marijuana. Like the other legal intoxicant in the U.S., alcohol, there must be legal and safe areas to consume it.